Ms Tay qualified with MB ChB in 1986 from Leicester University and undertook her training in Obstetrics and Gynaecology in Leicester, Manchester and Leeds. 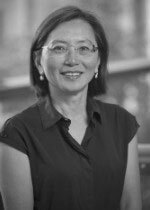 Subsequently, Ms Tay undertook research in the Leeds Reproductive Medicine Unit, leading to her MD qualification. Following this, Ms Tay was appointed as Clinical Lecturer in Obstetrics and Gynaecology at the University of Leeds. Ms Tay was appointed as Consultant Obstetrician and Gynaecologist at Leeds Teaching Hospitals Trust in 2000. In the NHS, Ms Tay works in Obstetrics (including the labour ward) and in all areas of benign Gynaecology. She has a large teaching and training responsibility. She is also the Head of School of Obstetrics and Gynaecology in Yorkshire and the Humber, and a Fellow of the Royal College of Obstetricians and Gynaecologists. Complimenting this role Ms Tay is also an examiner for the MRCOG part 3. Ms Tay continues to develop others in her medical professional field and is revalidated with the GMC. Benign gynaecological problems, especially menstrual problems, including endometrial ablation, polyps, fibroids and outpatient treatment of heavy menstrual bleeding. Early pregnancy and menopause problems. Ms Jacqueline Tay does not hold a share or financial interest in this hospital, another Nuffield Health hospital or the company. Ms Jacqueline Tay does not have a share or financial interest in equipment used at this hospital or another Nuffield Health hospital. Ms Jacqueline Tay does not hold any paid advisory role(s) at this hospital or on behalf of Nuffield Health.